This month’s issue of Nintendo Force has revealed that Monster Tale is coming to the 3DS as “Monster Tale Ultimate”. 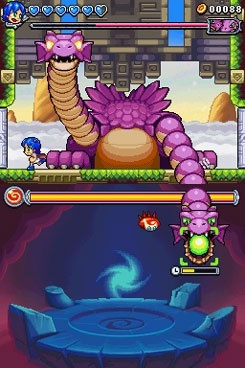 Monster Tale, a well-received 2D platformer for DS with Metroidvania and virtual pet elements, originally launched in 2011. 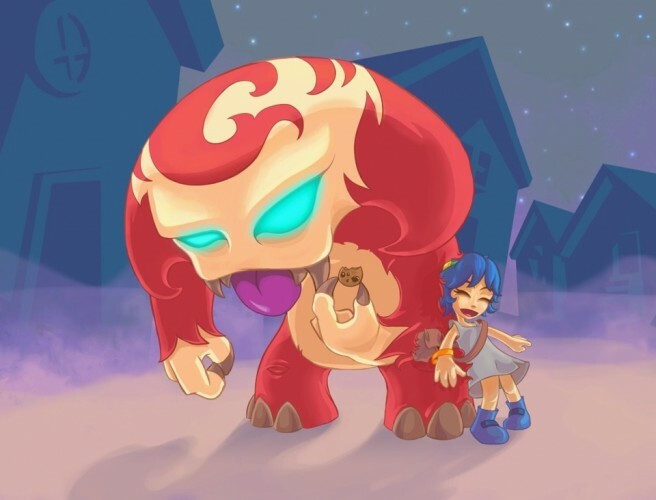 The game had players taking on the role of a young girl named Ellie, who is lost in the Monster World. Ellie has two goals: find her way home, and save the Monster World with some help from her monster companion known as Chomp. Monster Tale Ultimate is not a simple remake. DreamRift has gone back and touched up “every single aspect of the adventure”, according to Nintendo Force. That means improved visuals (thanks to new art assets), stereoscopic 3D support, rebalanced gameplay, and the ability to switch between a new orchestral soundtrack and the original chiptune music. Regarding the gameplay, DreamRift is adding in new rooms and areas. Backtracking – a notable issue for some players in the original release – has been addressed thanks to a new shortcut between worlds. There has been a complete rebalance of all aspects of Monster Tale, though this doesn’t mean the game will be any easier. A lot of the rebalancing has nothing to do with difficulty. [It] is instead about making the various components of the game more balanced in a manner that makes the game more strategically interesting. Monster Tale Ultimate is planned as a 3DS eShop exclusive for the time being. While DreamRift is open to a retail version, the studio would need to work with a publisher in order for that to be considered. The company may also work with a publisher for the eShop release depending on how things go. Look for Monster Tale Ultimate this spring.